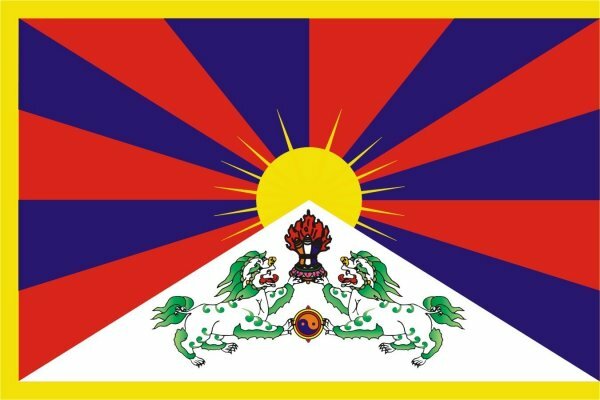 Since March 2012, Chinese authorities have detained over 1,000 Tibetans in a bid to crack down on the promotion of the Tibetan language and culture. Chinese authorities have detained more than 1,000 residents of a restive Tibetan county since March , targeting mainly educated youth involved in promoting the revival of Tibetan language and culture, according to a local source. The crackdown followed the deployment of large numbers of security forces to Driru county in the Nagchu prefecture of the Tibet Autonomous Region (TAR) in March  following area demonstrations, a local resident told RFA, speaking on condition of anonymity. “After the deployment of Chinese forces in the area, over a thousand Tibetans were either detained or put in jail, or disappeared,” the source said. Younger, educated Tibetans and the children of wealthier Tibetan families were especially targeted for detention, he said. Starting in 2009, a group of young Tibetans in Driru began discussions on the importance of Tibetan culture, the source said, adding that other groups began to promote the use of the spoken and written Tibetan language. “They stressed the use of Tibetan and not Chinese in daily conversation, even when speaking on the telephone,” the source said. “They were trying to replace Chinese with Tibetan,” he said. Meanwhile, a third group calling itself the White Diet Society began to advocate the avoidance of meat products, he added. “They gave up eating meat on the Buddhist holy days of each month and called for the consumption of ‘white foods’ [yogurt, for example] on Lhakar,” or ‘White Wednesdays,’ the weekday especially associated with exiled spiritual leader the Dalai Lama, he said. These activities were not coordinated by large organizations, the source said. Though over 1,000 Tibetans were eventually detained by Chinese forces in Driru, he said, those taken into custody were held for varying periods of time. “Some were detained for only a few hours, some were held for days. Many were jailed, and many others have simply disappeared,” he said. A reporter’s calls seeking comment from Driru county police offices rang unanswered on Wednesday [22 August 2012]. Speaking separately, Columbia University Tibet scholar Robbie Barnett said that Tibetans in recent years have been finding ways to celebrate Tibetan language and culture—and, increasingly, vegetarianism. “But this is usually done without any hint of political purpose in order to avoid the attention of the security forces,” he said. It is unlikely that Chinese authorities in Tibet would detain people for promoting Tibetan language and culture “unless they find a political link,” Barnett said. Lhakar was born inside Tibet “as a homegrown movement” and is inherently political, though, said Tenzin Dorjee, president of the New York-based Students for a Free Tibet. Following widespread protests in 2008 challenging Chinese rule in Tibetan areas, Tibetans began to create “an alternative world in their homes or social circles where they would speak only in Tibetan, wear Tibetan clothes, eat in Tibetan restaurants, and so on,” Dorjee said. “[And] after the birth of Lhakar inside Tibet, Tibetans in exile started observing Lhakar to mirror and support the Tibetans inside Tibet,” Dorjee said. In a growing wave of opposition to Beijing's rule in Tibetan areas, 49 Tibetans have self-immolated since February 2009, with nearly all of the fiery protests taking place in Tibetan-populated provinces in western China. The first self-immolation protest in the Tibetan capital Lhasa was reported in May , when two young Tibetan men set themselves on fire in a central square of the heavily guarded city.